DNW Smash Their D of E Record! Air Cadets from across Durham/Northumberland Wing area achieved an outstanding 234 Duke of Edinburgh’s Awards in 2016, breaking all previous records. The Duke of Edinburgh’s Award is a key element of the Air Cadet offer, and every young person in the organisation is encouraged to enrol and take part. From Volunteering with their local Brownie pack, to learning new skills such as Aeromodelling, Website design and Music, the Cadets can participate in a hugely wide range of activities. Cadets in the 35 Squadrons across the Durham/Northumberland area can register for the Bronze Award as soon as they are in Year 9 at school, and many then progress on to the Silver and Gold Awards, culminating in a visit to St James’s Palace in London to be presented with their Gold Awards. This year, Cadets have achieved 161 Bronze Awards, 61 Silver and 12 Gold, making a total of 234 Awards! 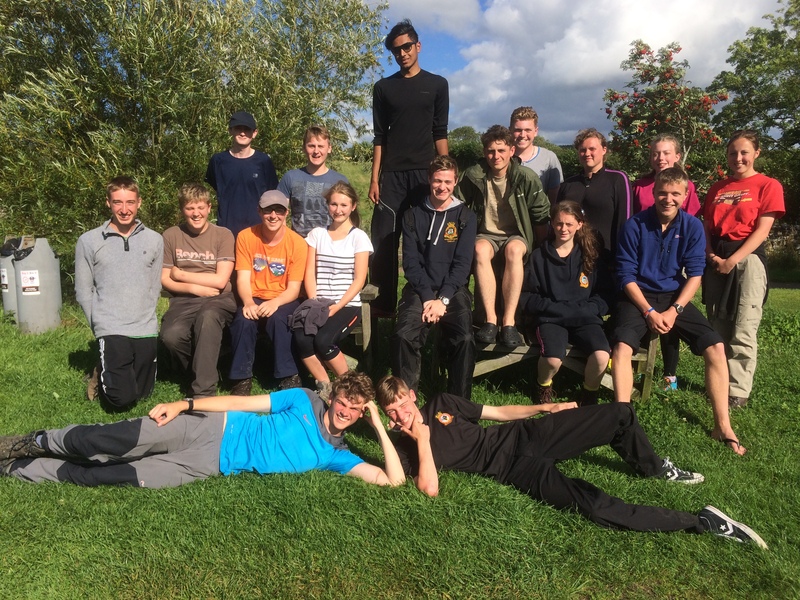 The Duke of Edinburgh’s Award Scheme is run by the volunteers at each Squadron, one of whom will be nominated as the D of E Leader. This person takes responsibility for guiding the Cadets when they are choosing activities, keeps the administration up to date, and encourages Cadets to complete their activities and collect Assessor Reports. Squadrons often team up to provide opportunities such as expeditions, and the Wing runs a centralised Gold expedition programme. Cadets work in teams of 4 to 7 to plan their expedition, and they have to be self-sufficient throughout, carrying all their own equipment and cooking their own meals. ← Have your say on the Wing’s proposed new Activity Centre!